We are here to make sure that you don't have to waste your time with shuttles and the non-personal service that is given in the normal transit from office or house to airport, you deserve better. With us we make sure you get to the airport on time so you can concentrate of closing that big business deal. Anyone that has been to the airport knows that the airport is usually crowded, finding parking is a hassle, carrying your luggage can be a job in itself, missing your terminal will cause you a huge headache and another trip around the airport. Frequently, our limo services go to the airports so, we know how to maneuver through the traffic, not miss the terminals and because you have a chauffeur, parking is never an issue. We have built and maintain working relationships with the airports that will allow you to have your bags checked promptly which will allow you to move quickly through other airport procedures. Our chauffeurs will guarantee that you are on time and more than satisfied with the service that we provide. If you have a client to pick up from the airport, what better way to impress them than by having our drivers hold a sign up for your guest and show them the star treatment to make closing that deal just a little bit easier. Why waste your time looking around for another company when you have come across the page of the best in the city. We strive to make you look good, because when you look good we look good. 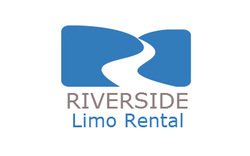 Give us a call and let our customer service, drivers and clean vehicles get you to Riverside Municipal Airport or any neighboring airport on time and in style.